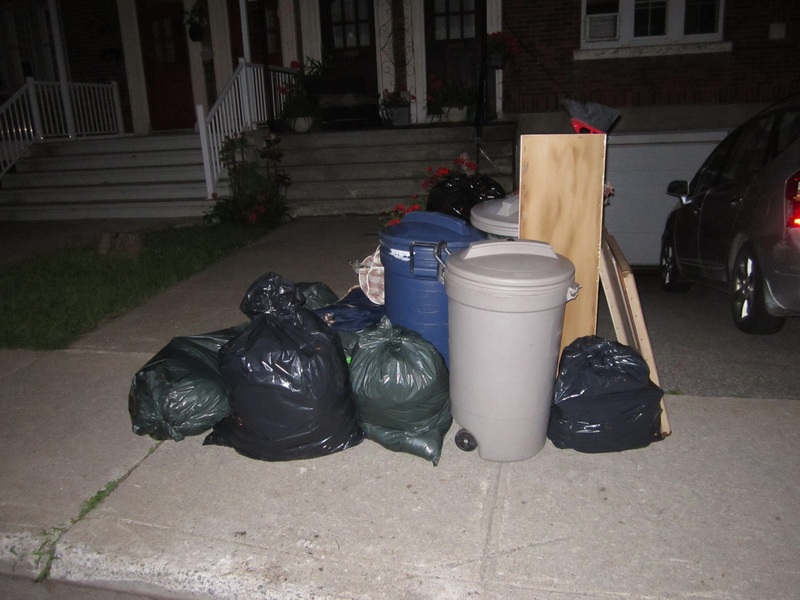 I found some great stuff in NDG last Monday night. I almost didn’t stop at the pile, but some other nearby trash provided sufficient motivation for me to get out of the car. 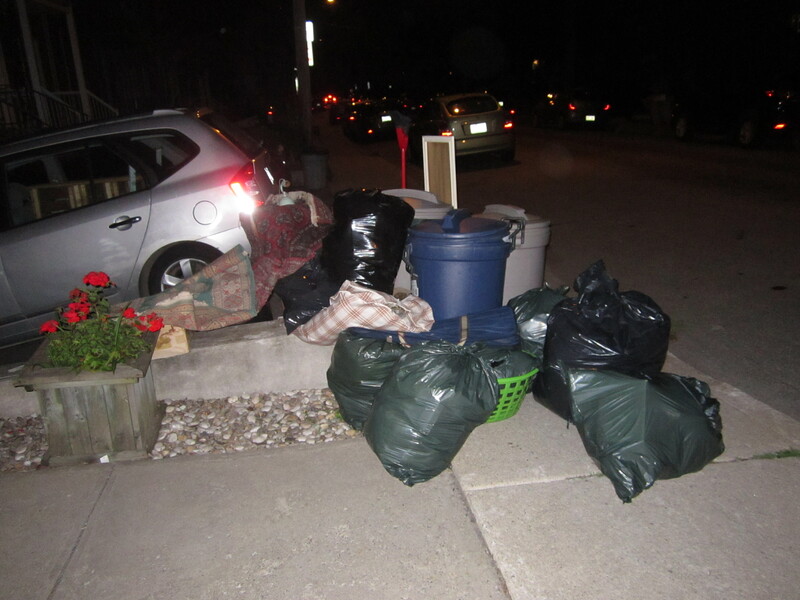 I went back to the spot Thursday night, before the area’s second garbage day of the week and found more great stuff that I’ll post about in the near future. It was then that I met the person doing the tossing. He told me to take whatever I wanted but not to make a mess. I asked him if he was moving (which I didn’t think was the case considering my Monday finds, but it’s generally the least risky question to ask) and he told me he was an estate liquidator. Being an estate liquidator must be an interesting job. I imagine relatives take what is left to them before giving the liquidator carte blanche to make as money as possible from the rest. As a result, the liquidator ends up becoming responsible for items that they understand (rightly or wrongly) to have little monetary value, or at least not enough to be worth bothering with. 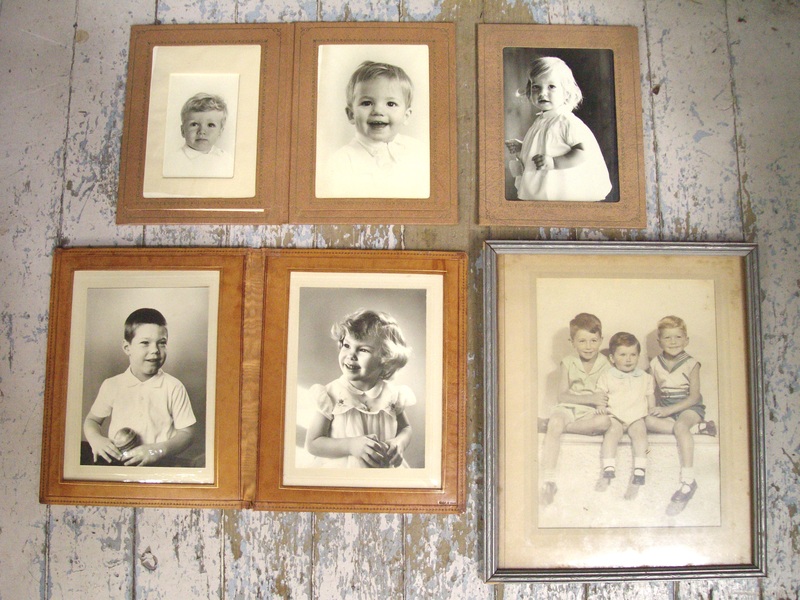 A lot of this stuff just ends up being tossed, including many things with mostly sentimental value – it’s in the interest of the liquidator to be as efficient as possible. Many of the bags were full of old clothes. Some were moth eaten or musty while others looked fine. Regardless, I didn’t feel like dealing with clothes and left them all behind. (Just to note: my camera died on Friday so many of these shots were taken with my backup camera. It’s better than I expected, but it’s still not as good as my Canon was. I should have a new camera soon!). 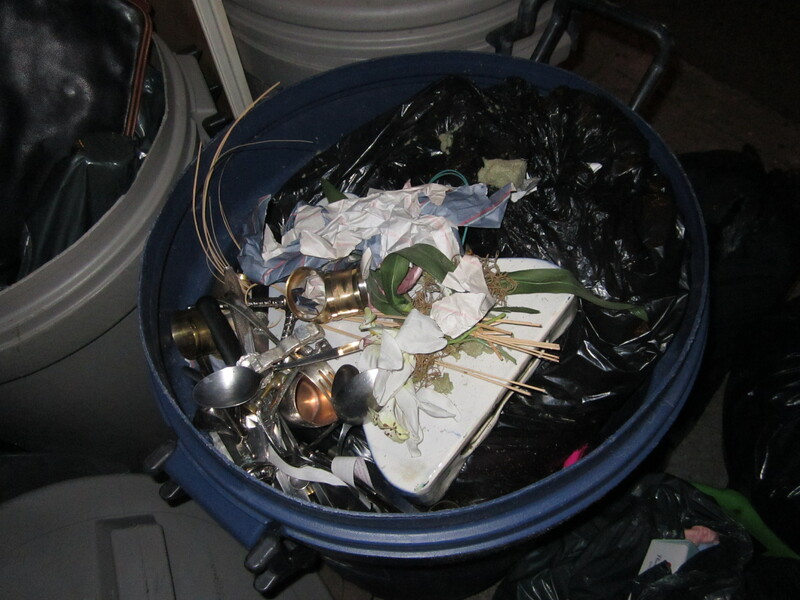 At the top of the blue garbage bin were several small items. They included a set of cutlery holders, three small spoons (two of which were Mappin Plate), a pair of two dragon things marked with a price tag of 15$ (I’m not sure what they are – you can see them on the right side of the photo), and a fork that was patented in 1915. 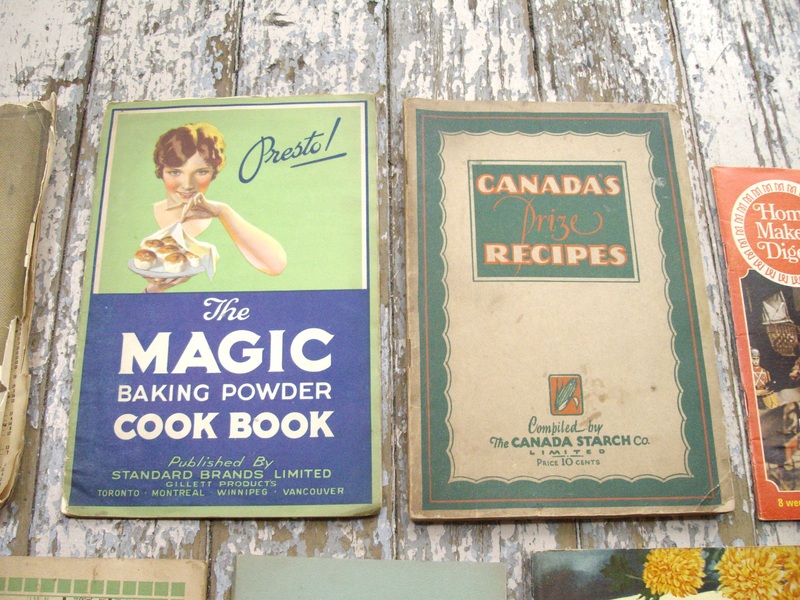 The set of tiny forks and knives at the left was priced at 40$! The most curious piece was this little one-legged brass dude who measured in around two inches tall. It looks a bit like a demon, but I’m not sure exactly what the figure might represent. Let me knew if you do! 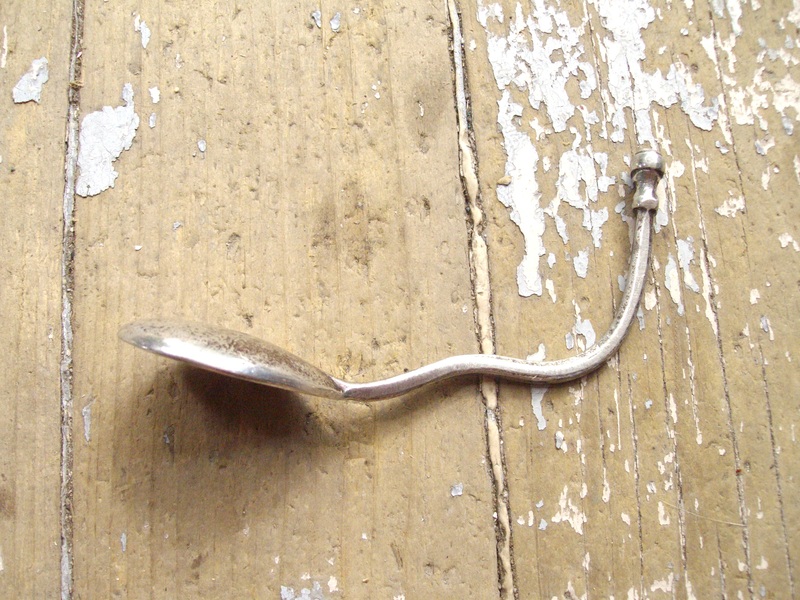 There was also a weird bendy spoon. 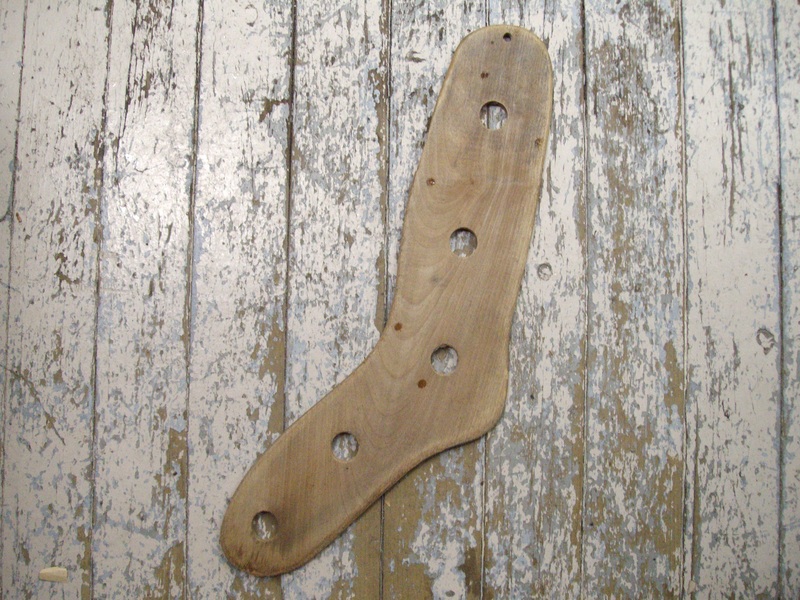 It looked to have been designed this way and doesn’t seem to have any practical use. There are some marks on the handle that I can’t make out. 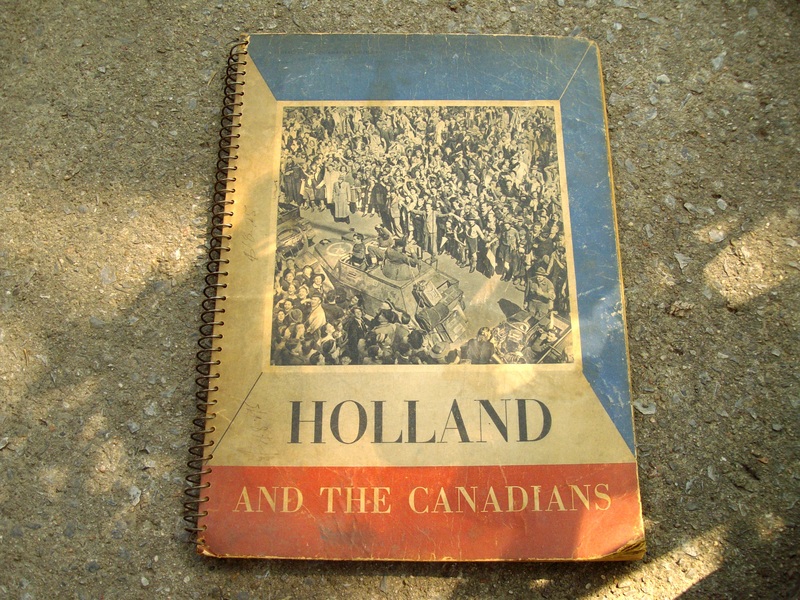 Inside a bag were a few books, including one titled “Holland and the Canadians.” It appears to be a tribute to the Canadians who helped liberate the Netherlands during WWII. 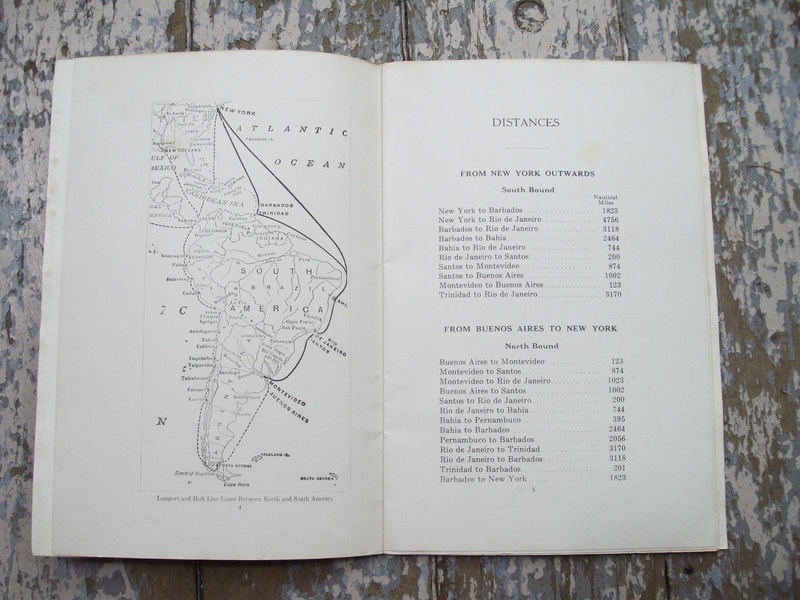 It is a very attractive book filled with text, lots of pictures, and a few maps. One just like it sold on eBay for 28$ + shipping . 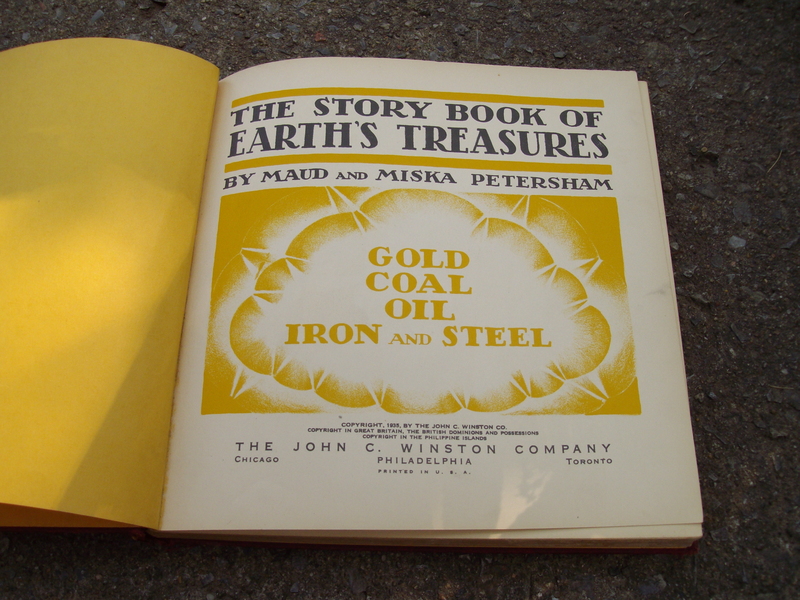 There was also a cool kid’s book about natural resources (“Earth’s treasures”) from 1935. 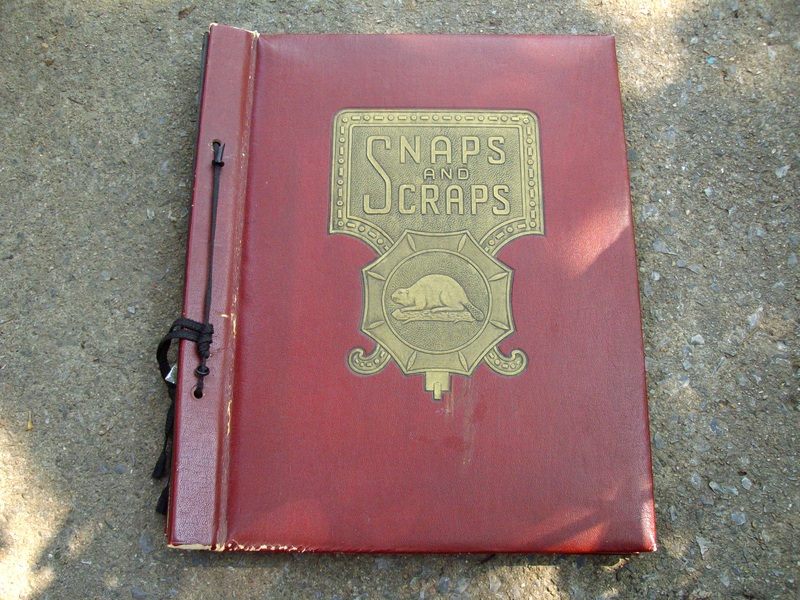 This old scrapbook provided some of my favourite finds. 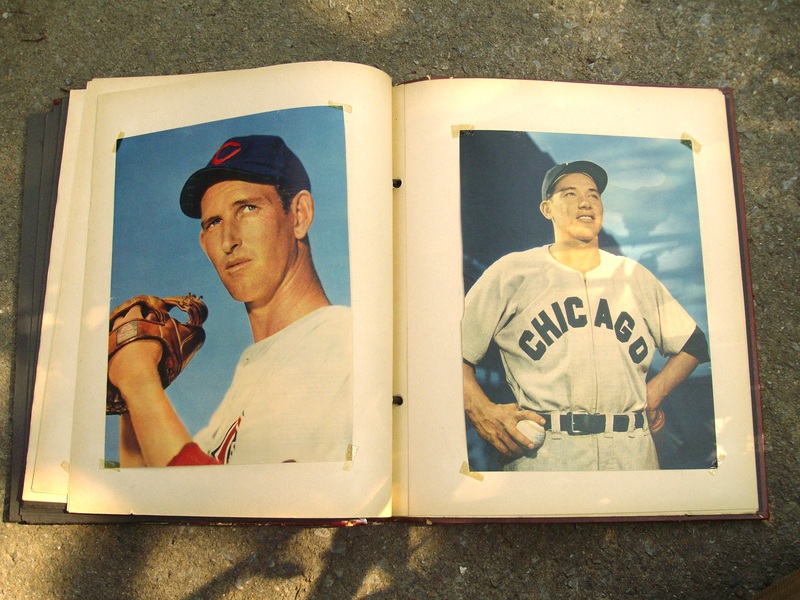 Inside was a great collection of sports ephemera. 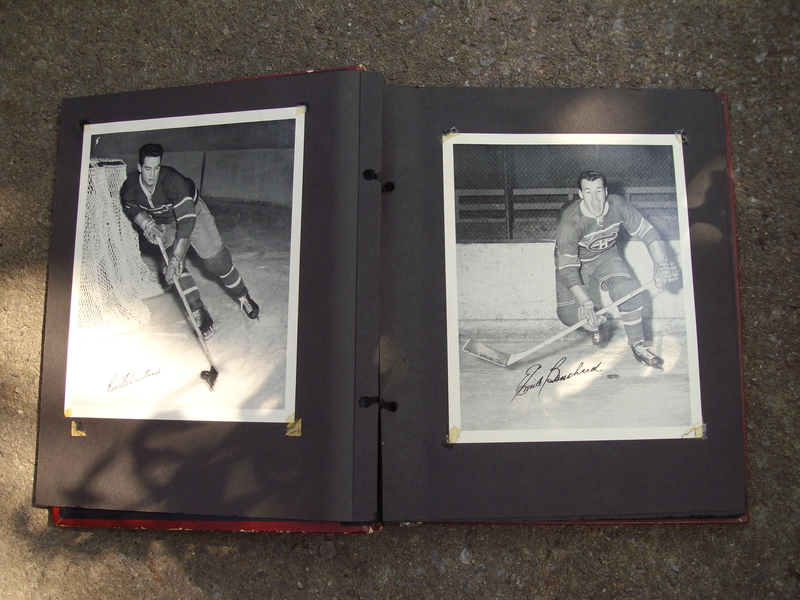 There were several photos of hockey players, all of whom were on the Montreal Canadiens. Some were stuck to the pages, while several others were simply stuck between the pages. The only name I recognized was Elmer Lach, a former Canadiens center who recently passed away. 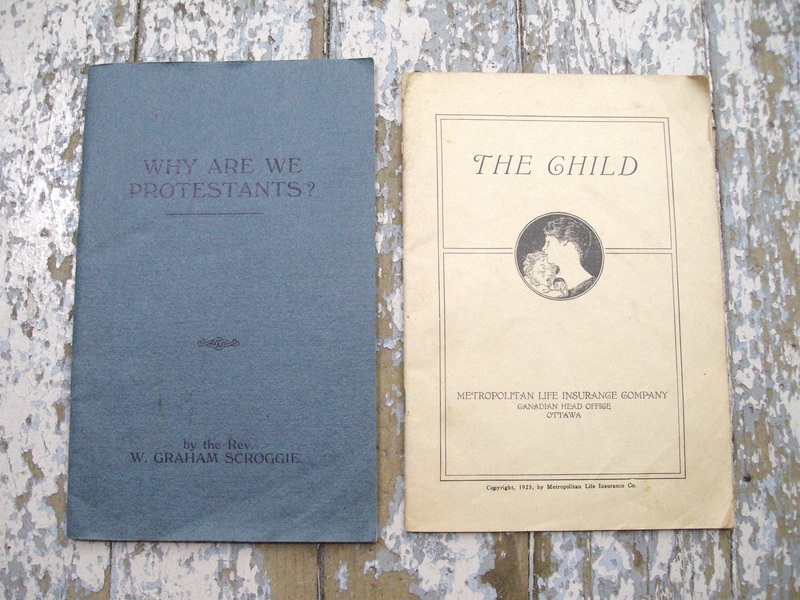 I’ll bet these were part of some kind of give-away or promotion – I’ll have to do some more research to figure out their history and value. At the back were several magazine cutouts of baseball players. These are cool but not worth much. 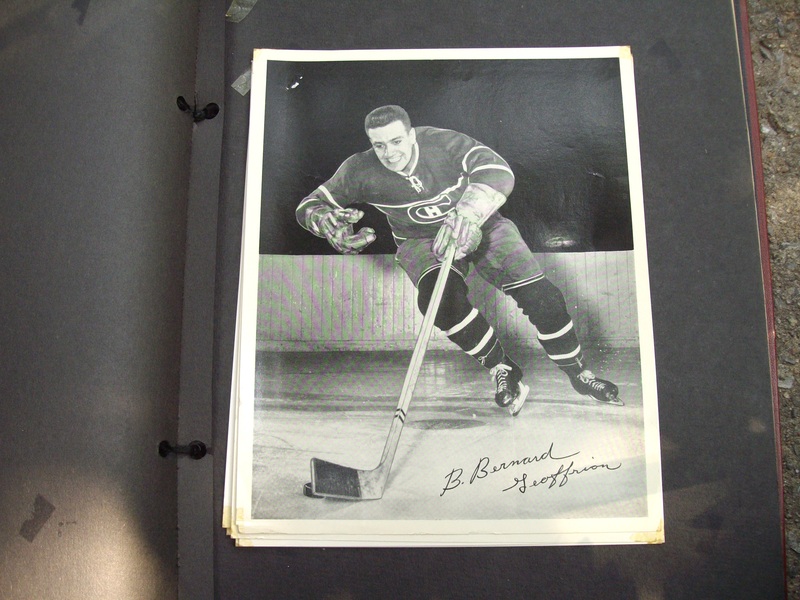 My favourite items from the scrapbook was this collection of glossy press photos. 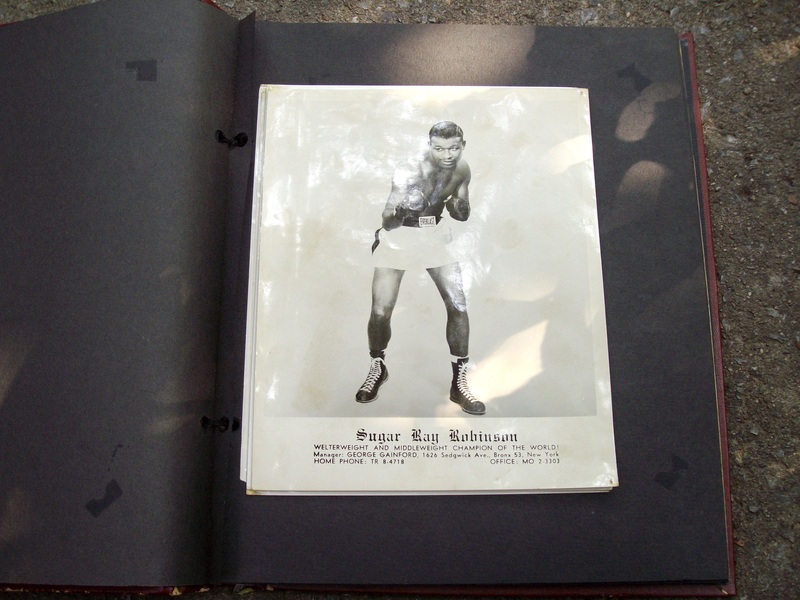 On the top was a photo of Sugar Ray Robinson. 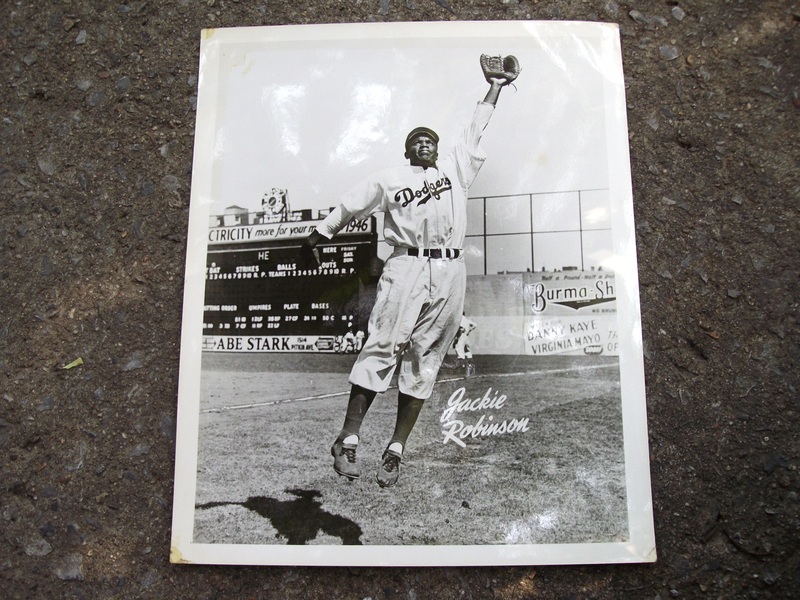 Underneath was a great shot of Jackie Robinson. I have a few things I fantasize about finding in the garbage, one of which is something relating to Jackie’s year with the Montreal Royals. This isn’t that, but it’s still pretty cool. There were other great photos of Eddie Matthews, Rocky Marciano, an unknown Giants squad of the 50s, and another of Sugar Ray Robinson. Still, some of the coolest stuff was in the box on the far left by the flowers. It was partially hidden under a moth-eaten rug. Inside was a whole bunch of old ephemera, a lot of which dates back to the 20s and 30s. 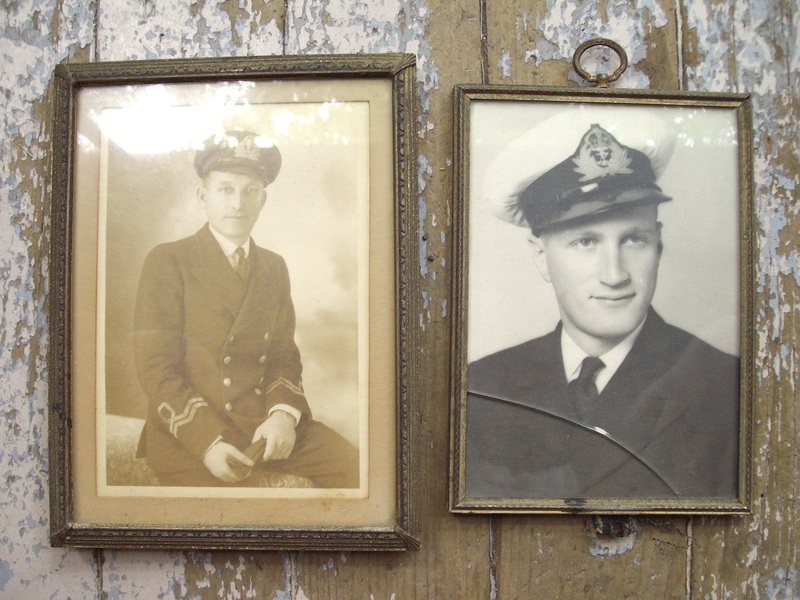 … including two of a WWII-era serviceman. 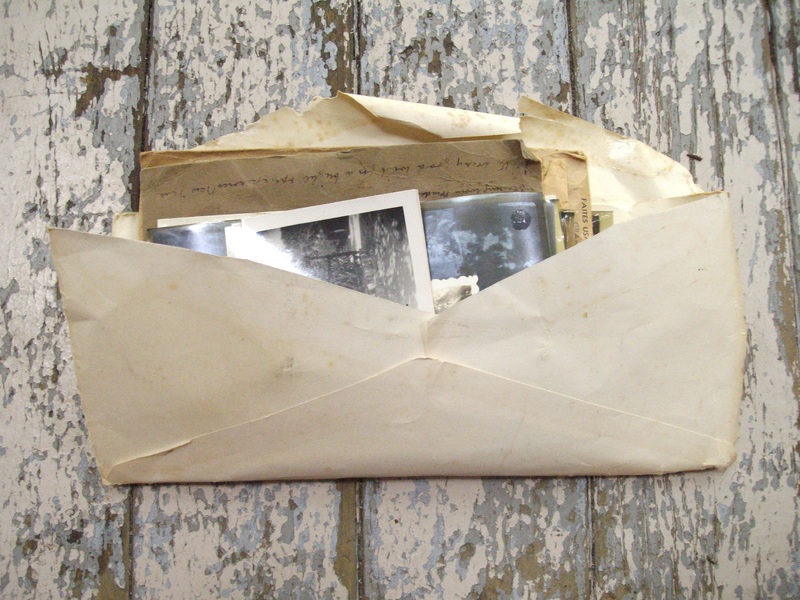 This envelope was overflowing with photos. This photo was one of my favourite from the envelope. 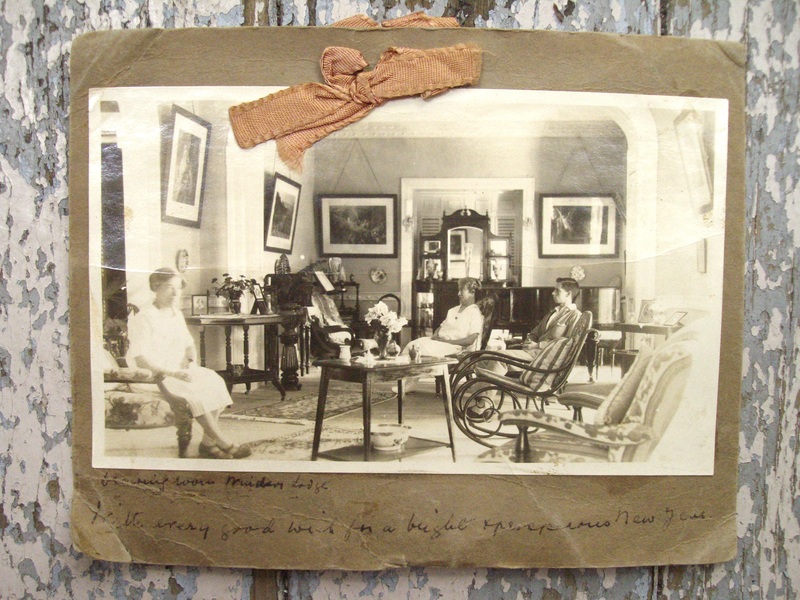 It provides a great example of 1920s decor – zoom in for a closer look. In the back were a bunch of negatives “to be developed.” I wonder if they ever were, though I assume they would have been. 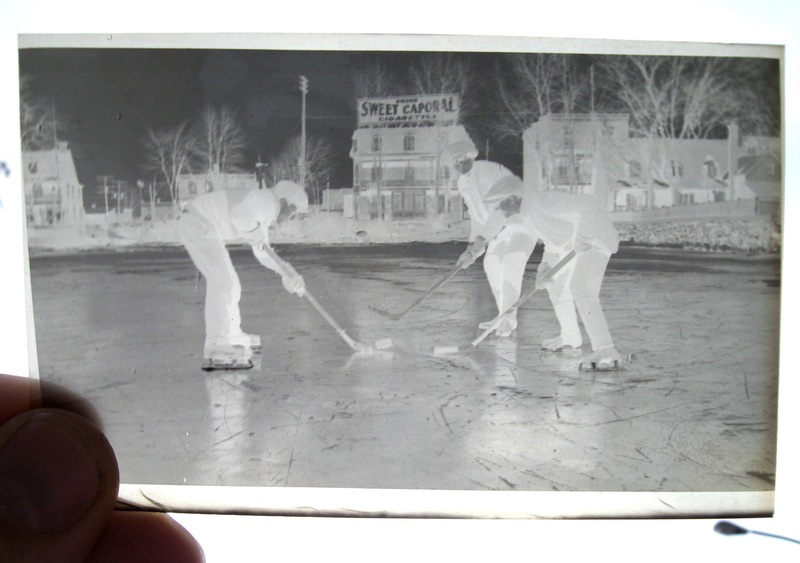 I haven’t looked at all of them, but two I pulled out present some great old street scenes, possibly from Montreal. 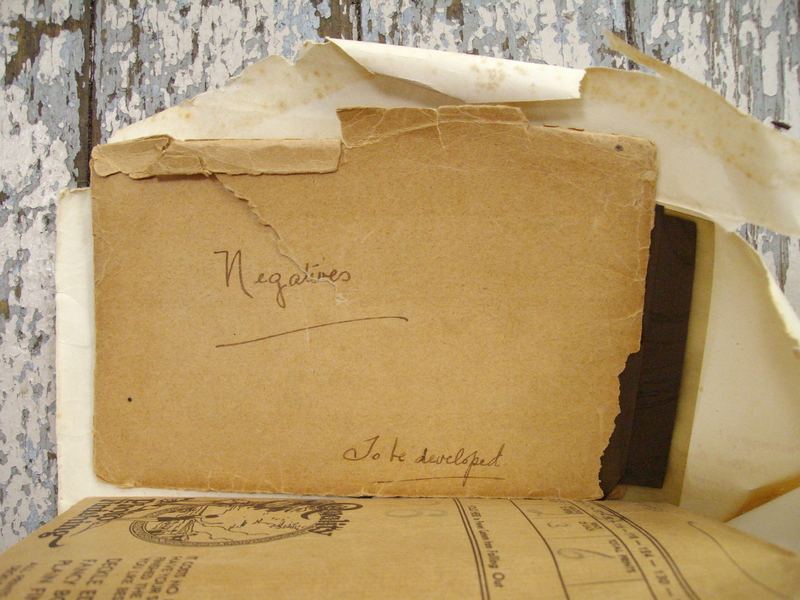 This old stationary box contained plenty more ephemera. 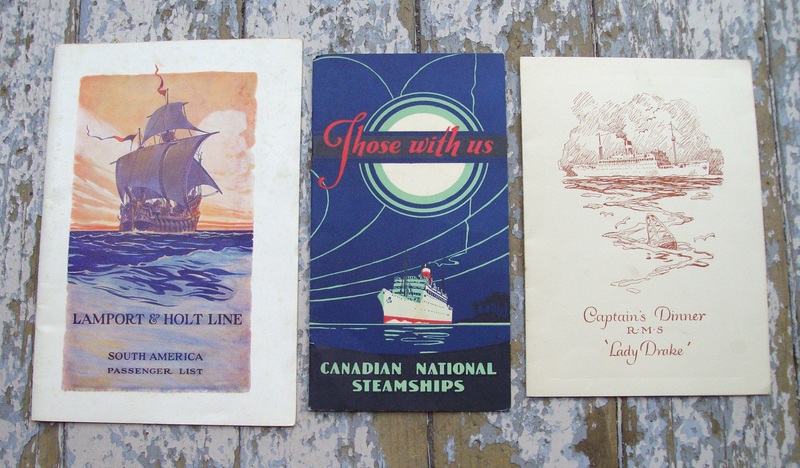 … and some old Steamship souvenirs. I think these are super cool. 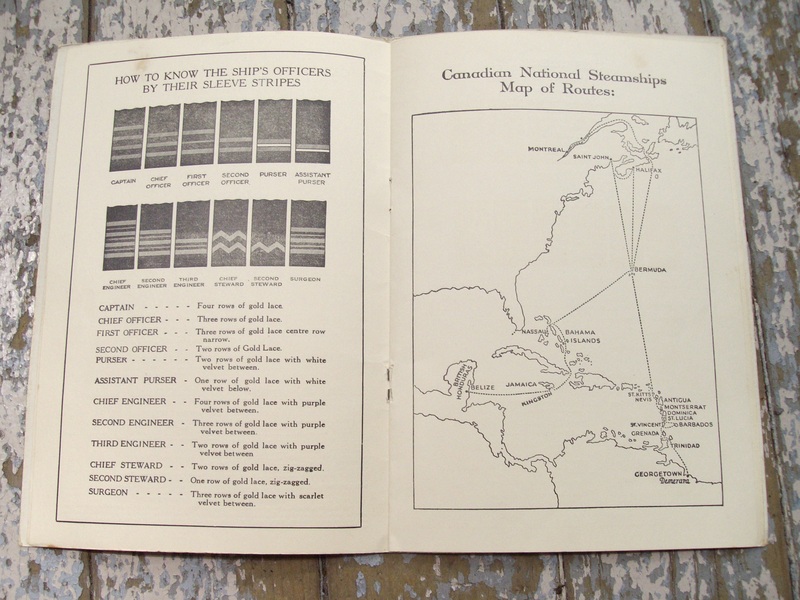 The one on the left is from 1929, the center from 1933, and the right from 1930. Apparently the R.M.S. 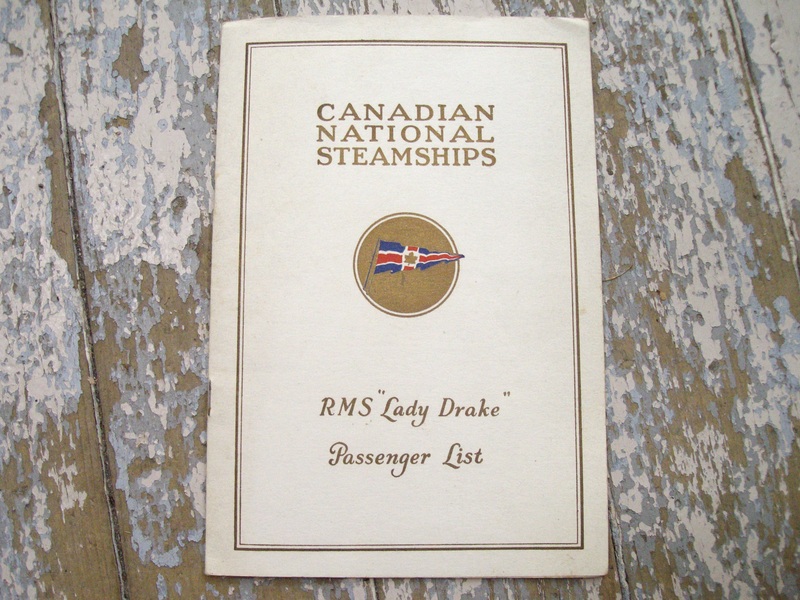 Lady Drake was sunk off the coat of Bermuda by a German U-Boat in 1942. Oddly, I could only find this information (at least easily) from German Wikipedia. I love the artwork and design of that era. I think I could sell these for 10-15$ a piece. 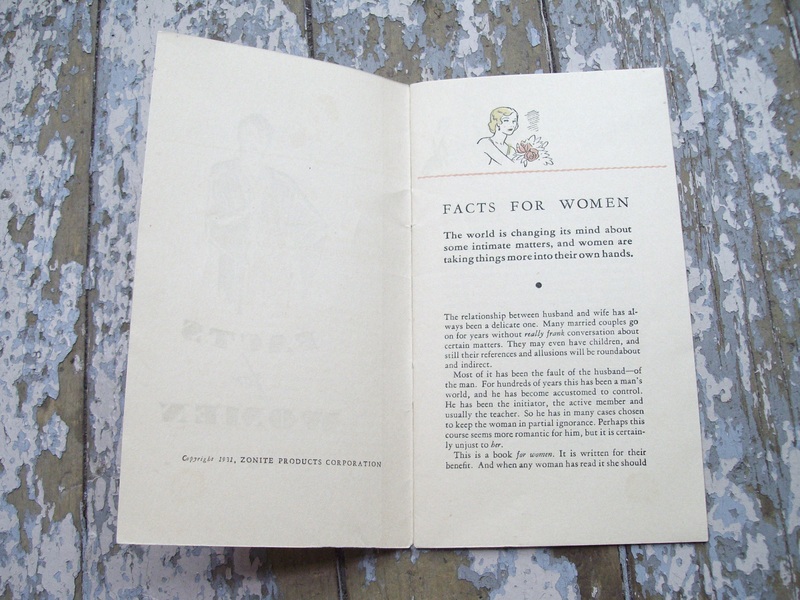 … and a booklet entitled “Facts for Women”, published in 1931 by the Zonite Corporation. It promotes a brand of feminine hygiene products. I didn’t read it all, but at least from the first page it seems to take a more feminist marketing angle (“For hundreds of years this has been a man’s world, and he has become accustomed to control”). It’s interesting to note that women in the United States only got the right to vote in 1920, so this pamphlet was printed not too long after. 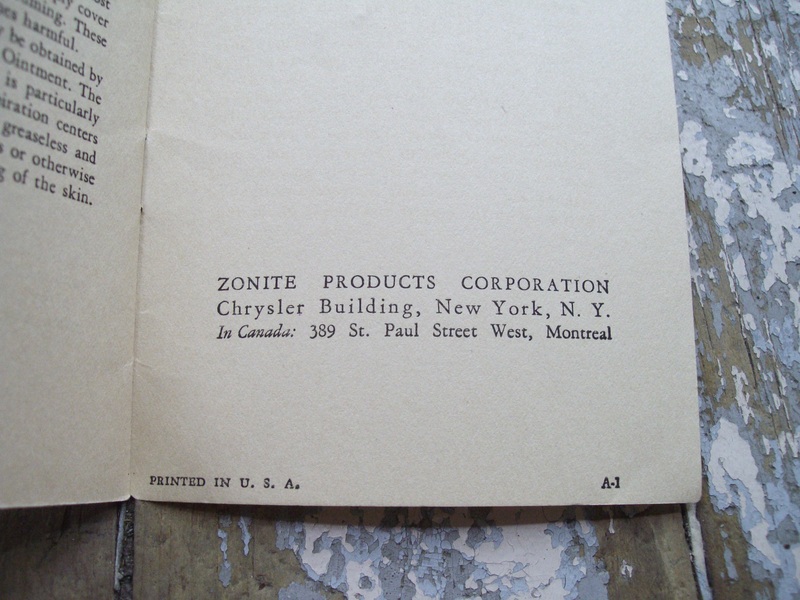 The booklet also emphasizes that Zonite products do not contain any hazardous chemicals, perhaps contrasting itself from products such as Lysol that were used earlier. 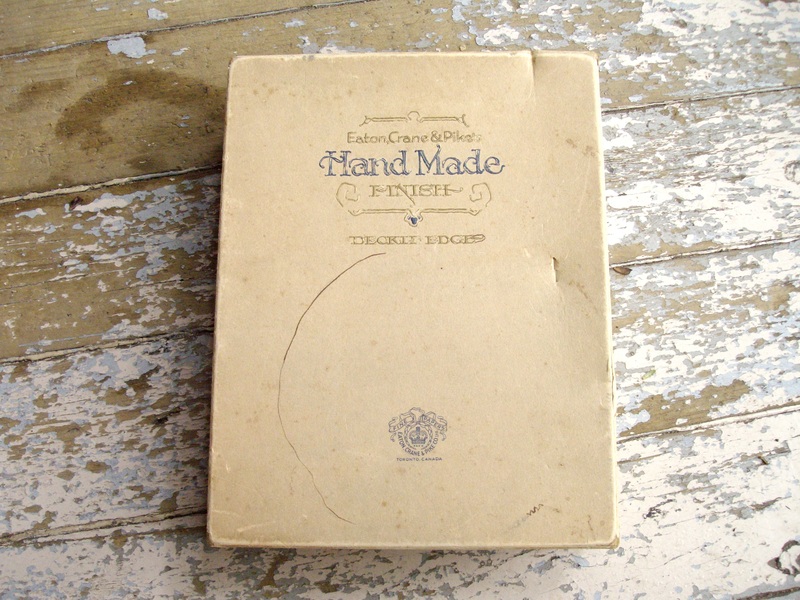 The booklet is in fabulous condition and I may be able to sell it for a nice amount. I found a scanned version (in worse condition, but certainly readable) that you can see here. 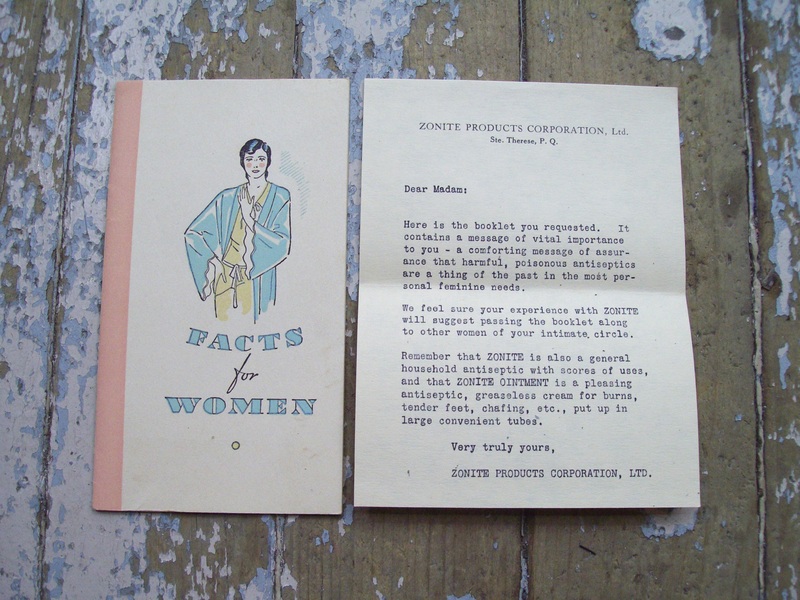 I also found an amusing look at other vintage feminine hygiene ads. 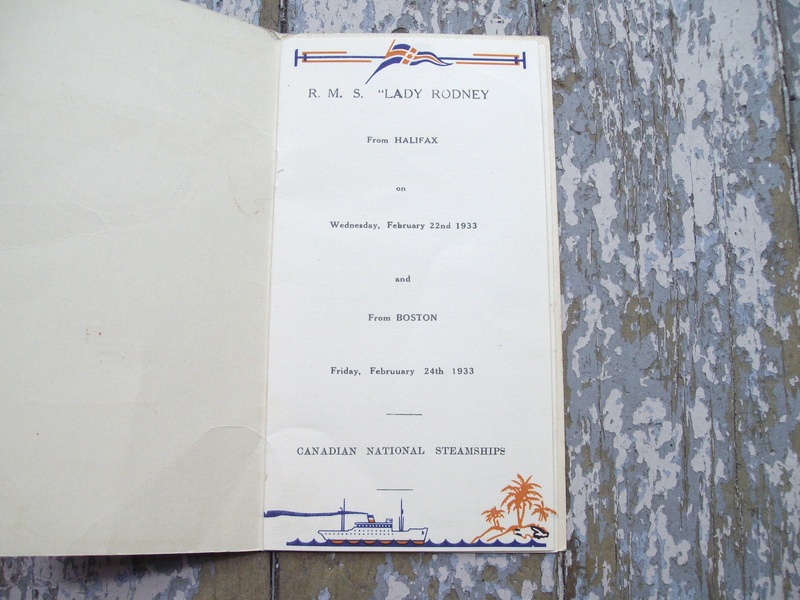 … including another old Steamship passenger list. 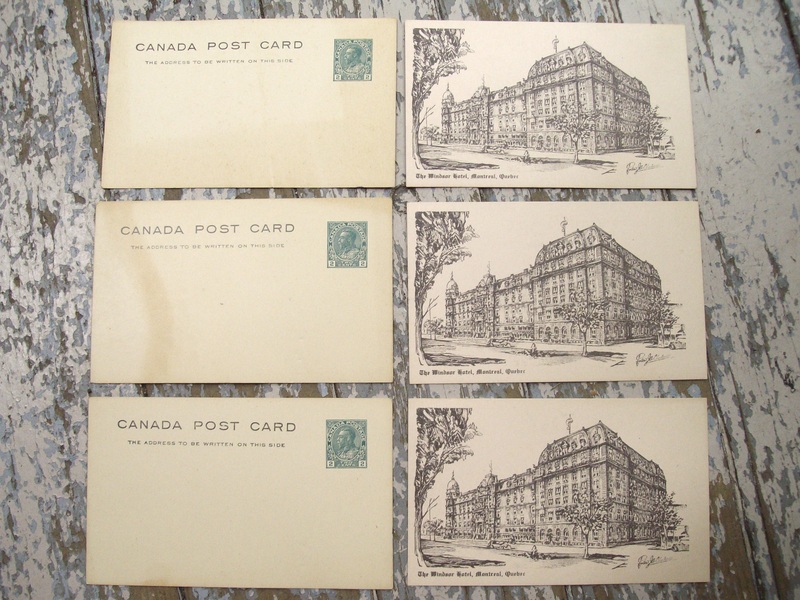 There were six unused postcards, three blank and three from the historic and defunct Windsor Hotel in Montreal. 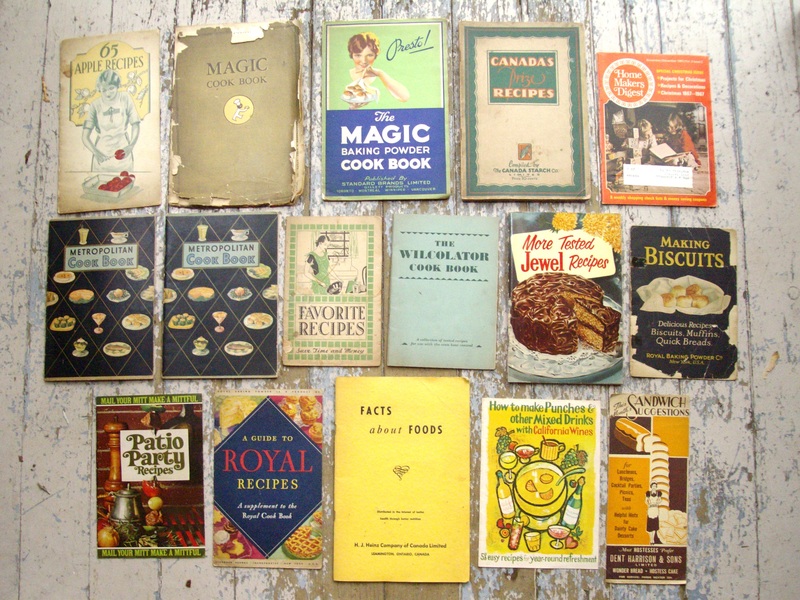 However, the bag was mostly full of old cookbooks, most of which are in excellent condition. 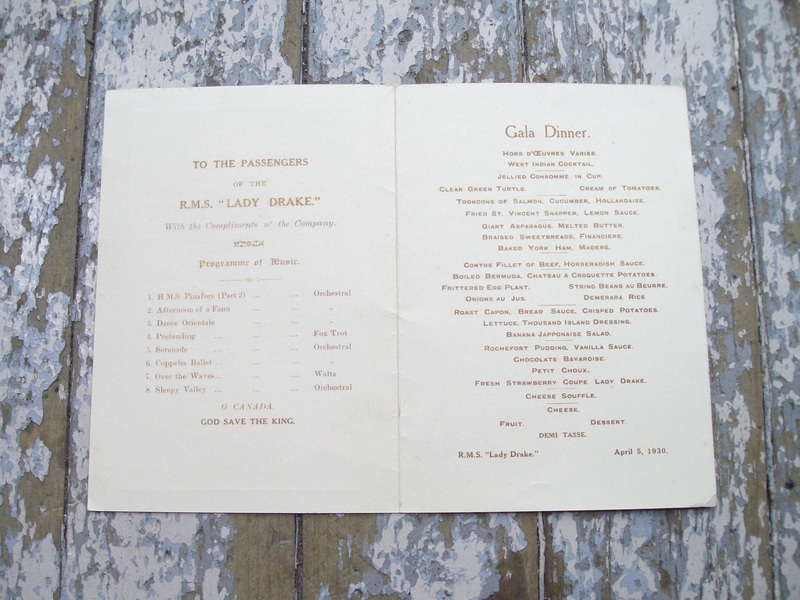 Many are from the 1920s and 1930s. I love this kind of stuff, and they should sell for decent money. It’s hard to find these in such good condition. 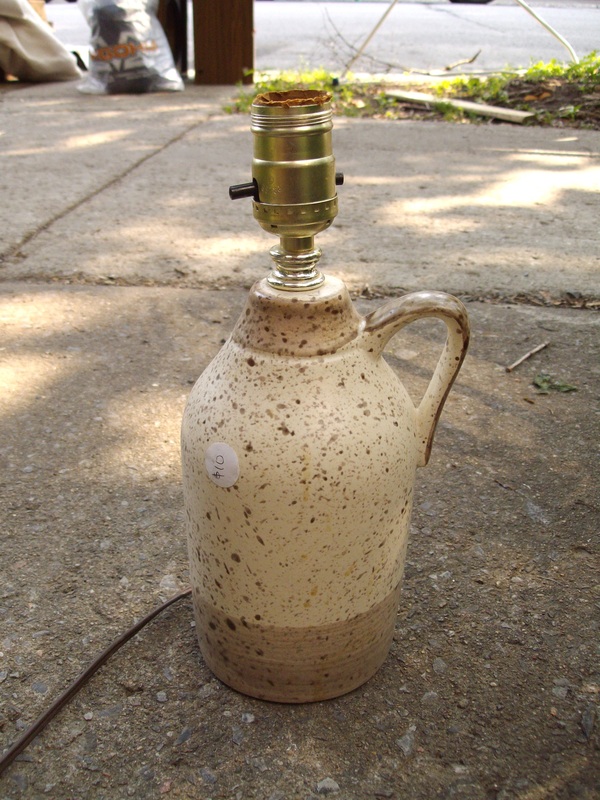 … and a jug lamp with a price tag of 10$ stuck to it. I love these old ephemeral treasures. They may not be worth a fortune but they tell an interesting story. 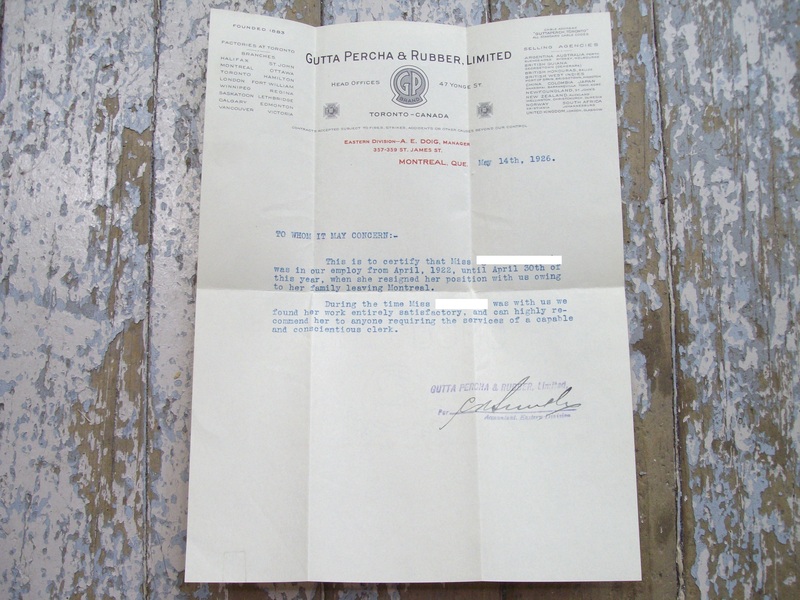 It’s finding these kinds of historical items that keeps me motivated to keep on trash picking. 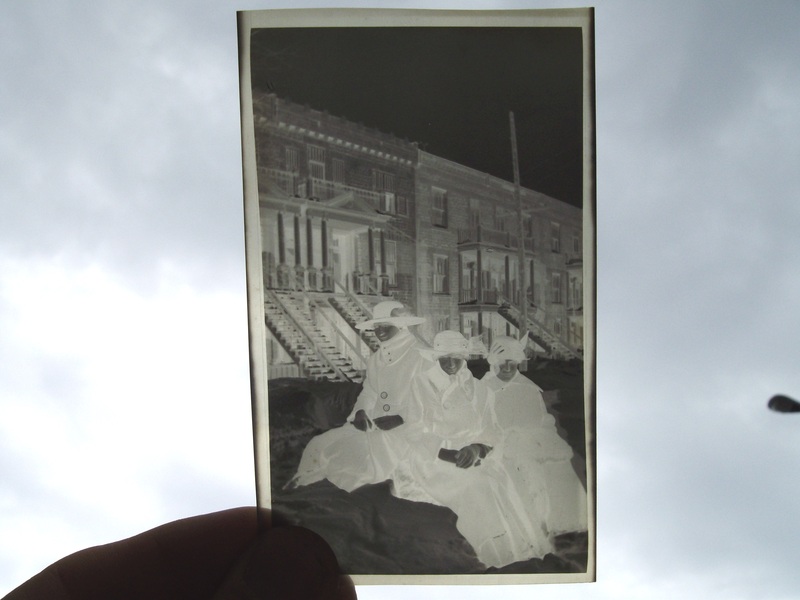 I appreciate saving them (and the stories they tell) from destruction, and then sharing those stories with others. I’ll share more things I found at this spot soon! The dragons may be chopstick rests, somewhere to lay them while eating so as not to stain the tablecloth. 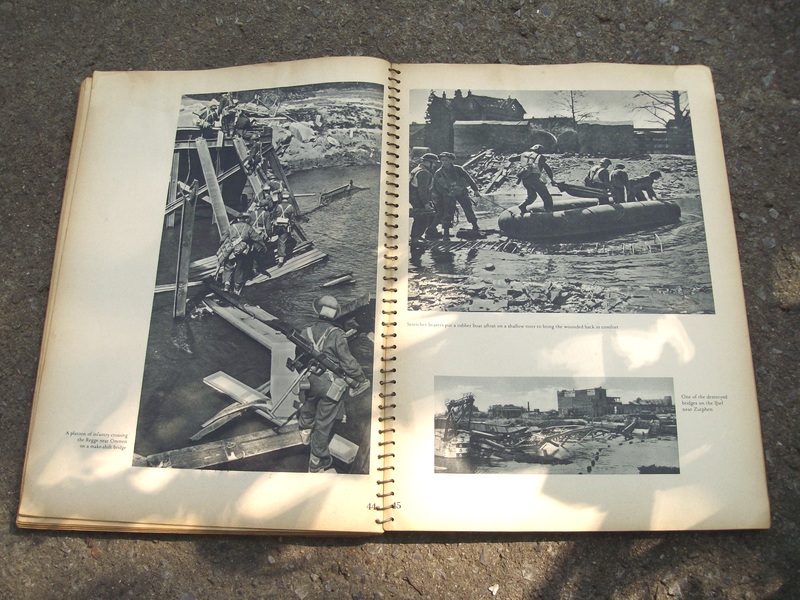 And it’s topical, the anniversary of the end of the war in May, and lots of coverage of the celebrations in Holland to mark the occasion. 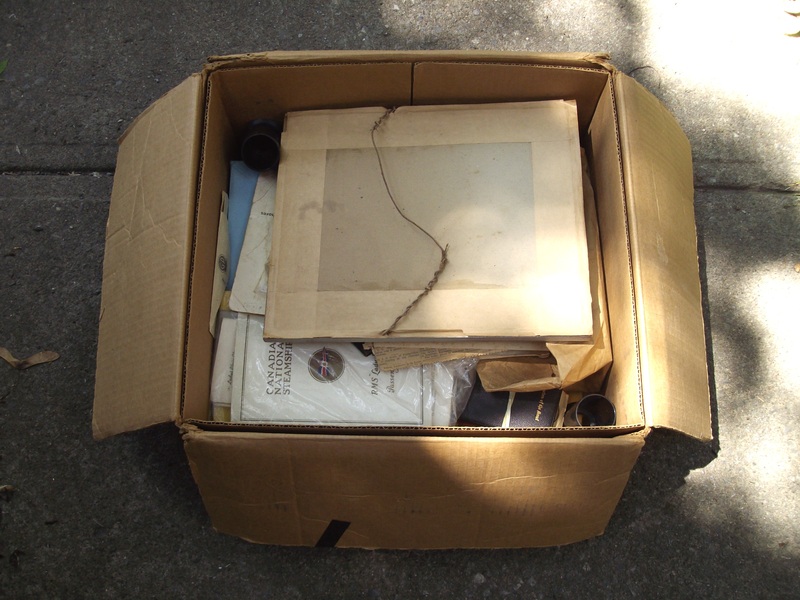 There’s nothing quite like a box full of ephemera to scrounge through on a rainy/winter day … sends the thoughts off in all sorts of interesting directions. 🙂 Thanks for sharing all these wonderful bits and bobs. 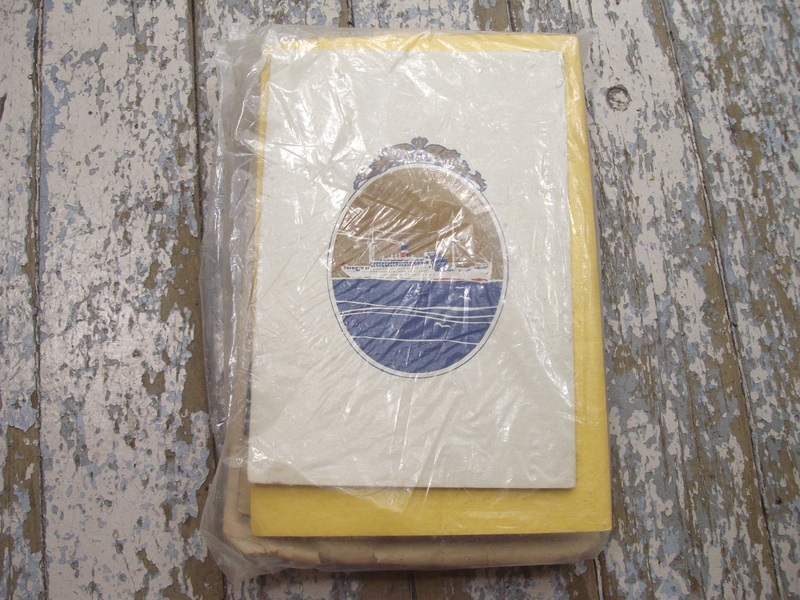 Those old, unused greeting cards are sweet. 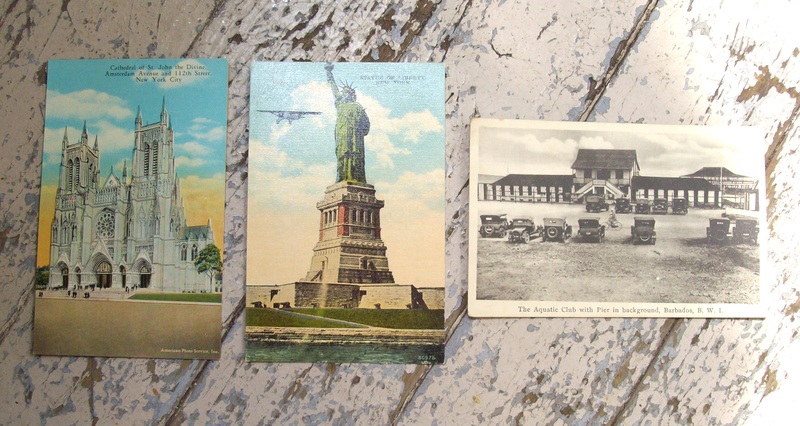 And the Windsor Hotel postcards with the stamps. 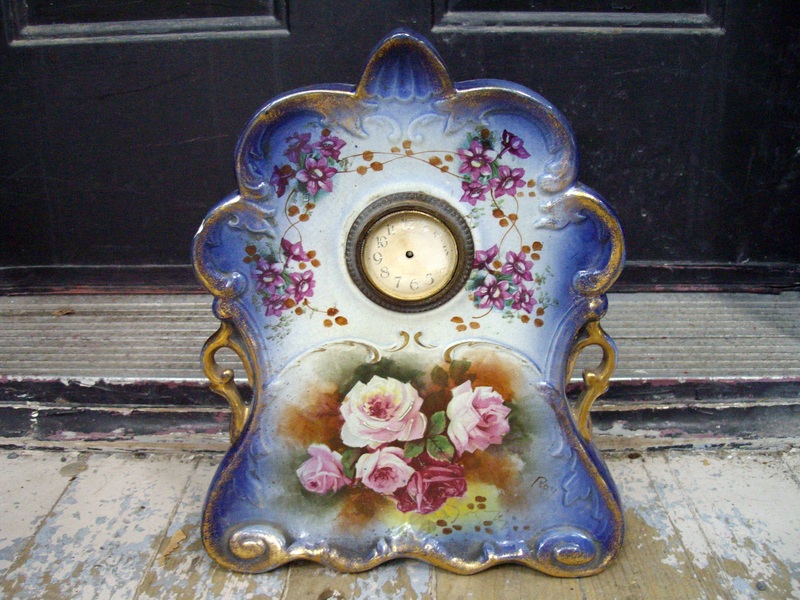 Are there ANY second-hand or antique stores in Canada? It would appear not with all of the goodies you show us! Thank you for what you do and sharing it with us! 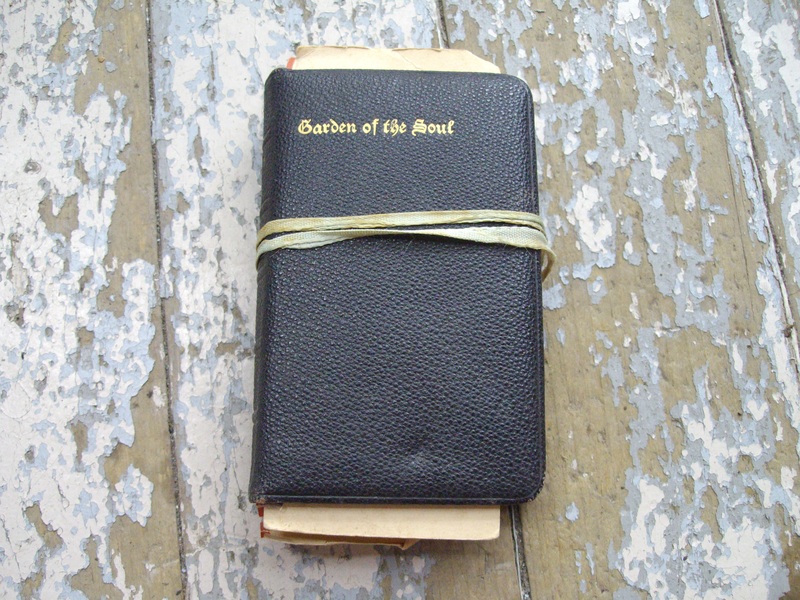 I get such vicarious pleasure seeing all your finds and reading about them. Would love to be out wandering with you! Keep up with the fascinating work! Thanks for the info, sure does look like it. It definitely could have belonged to a soldier. It is sad to see what people class as “trash”. Such cool stuff. I also think the dragons are chopstick holders. Love all the ephemera! 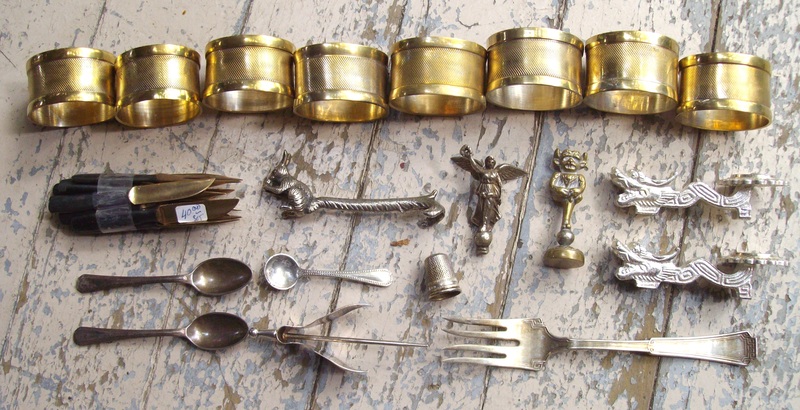 I believe what you are calling cutlery holders are in fact napkin rings. To roll up a napkin in and place it beside the dinner plate as one sets the table. I have 7 or 8 I think. I wouldn’t ask much, 2$ each for 10$ for the set? Let me know if you’re interested by Facebook message or email. 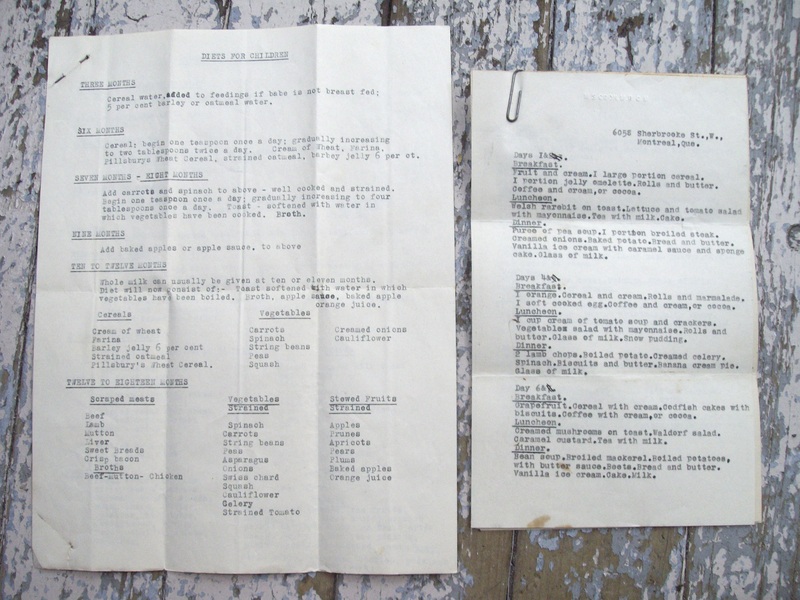 I noticed you have a “Wilcolator” cookbook! Wonder what a Wilcolator was? I agree the dragon things look like chopstick rests. The smallest spoon is for salt, they usually would go with those little crystal salt cellars on tables. Wonder what the metal thing that looks like a squirrel with an elongated tail is? wow awesome finds. i love those old montreal pics!!!!! 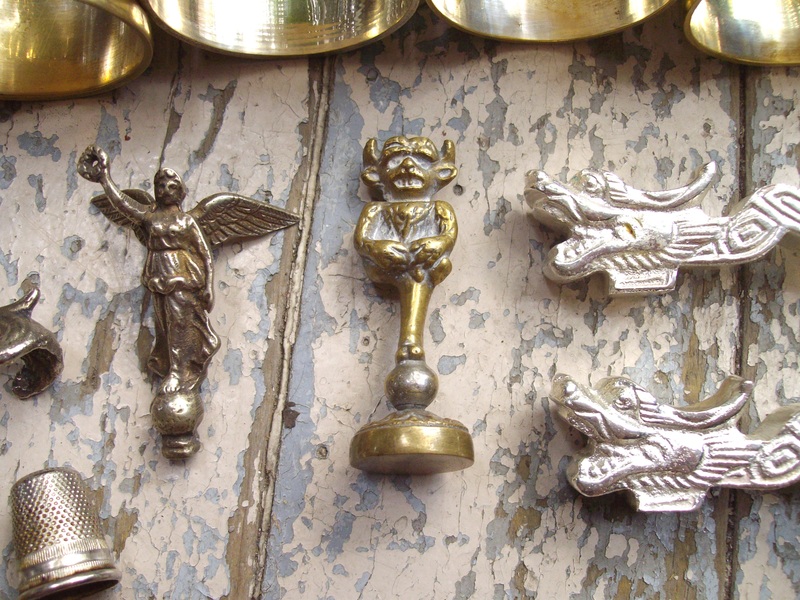 dragon heads are rest/hold silver spoons which are used to scoop food from dishes shared among a few people in a chinese restaurant. Yes, that is the Lincoln Imp. They sell all kinds of them in the gift shop at Lincoln Cathedral in Lincolnshire, England. I had a large one made of resin that looked like stone, but my ex took it in the divorce, lol. It seems after your rest,you have passed the fatigue and back to normal, to what you enjoy doing,great finds and these posts always put a smile on my face. Happy hunting. Please please get ahold of me at my email listed buggyk777@gmail.com or on FB.. Please I am willing to pay whatever needed for our family pictures.. We just want them back.